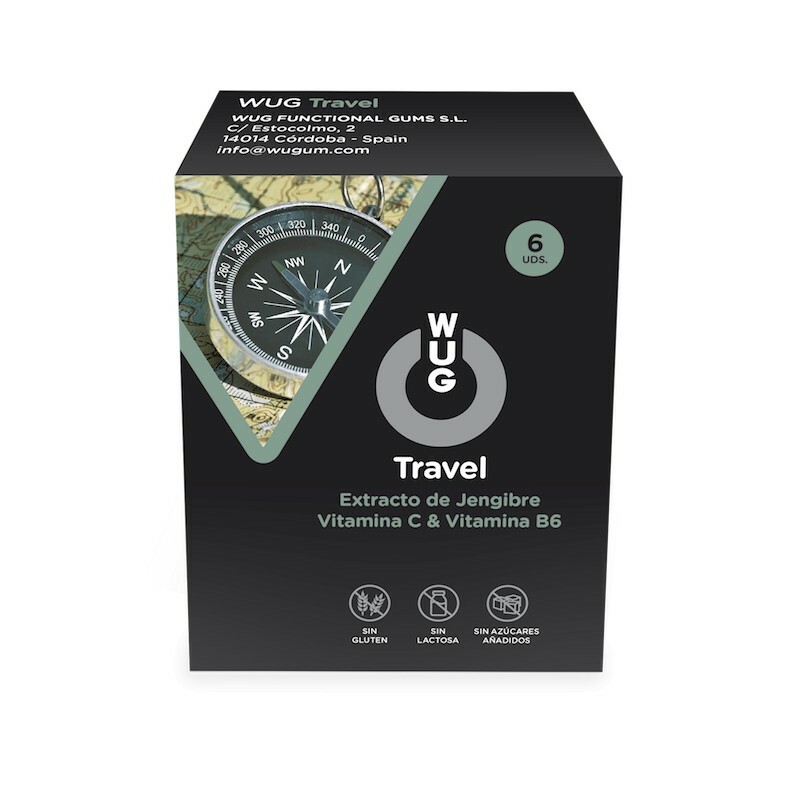 WUG Travel 6 units. - WUG Functional Gums S.L. > WUG LIFE 5G>WUG Travel 6 units. 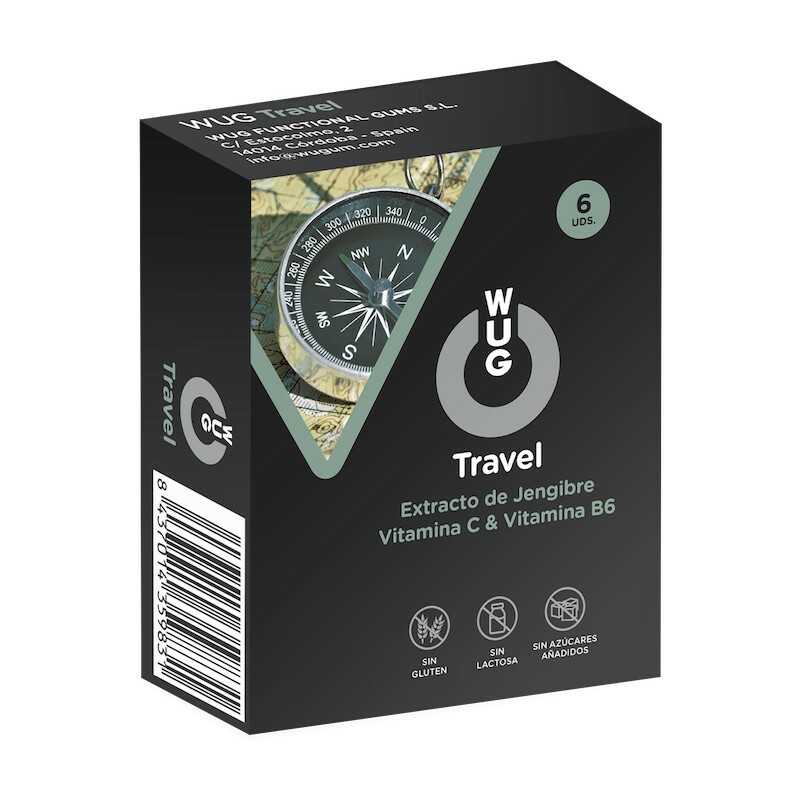 WUG Travel is made of natural plants and does not require water or digestion. It can be carried around anywhere and it only weights 1,7 grams. You can find it packaged in boxes of 6 units each. 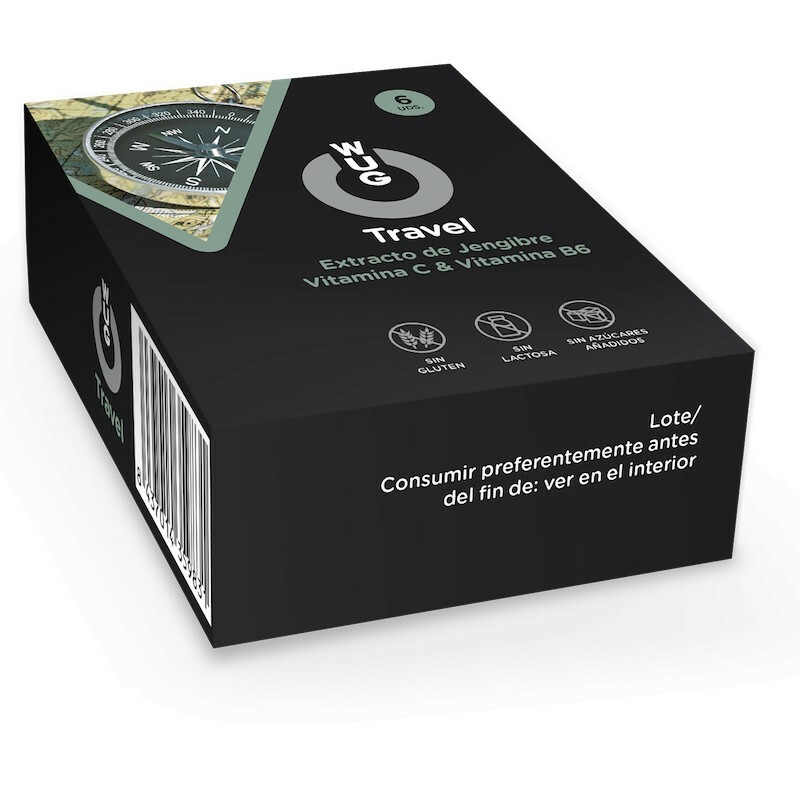 It´s recommended to chew 1 chewing gum before traveling or feeling dizzy. Relieve the effects of dizziness and nausea. 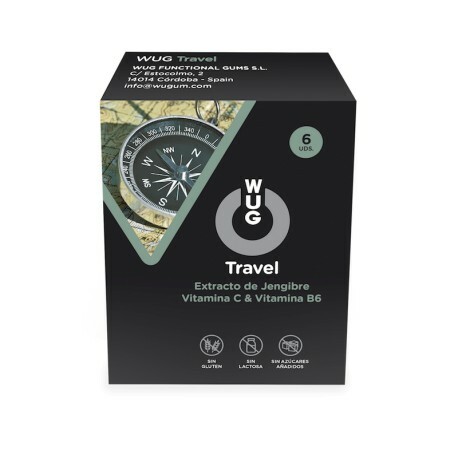 Reduces stress levels when traveling. It prevents leg cramps and numbness of the extremities. Recommended daily dose is 2 gums.